No-churn ice cream is a simple, easy and effortless way to make homemade ice cream. The options are endless, and they are a lot more affordable than store-bought ice creams. The best part? You know what goes in and what you are eating. A no-churn ice cream is probably the fastest you can get to making homemade ice cream. 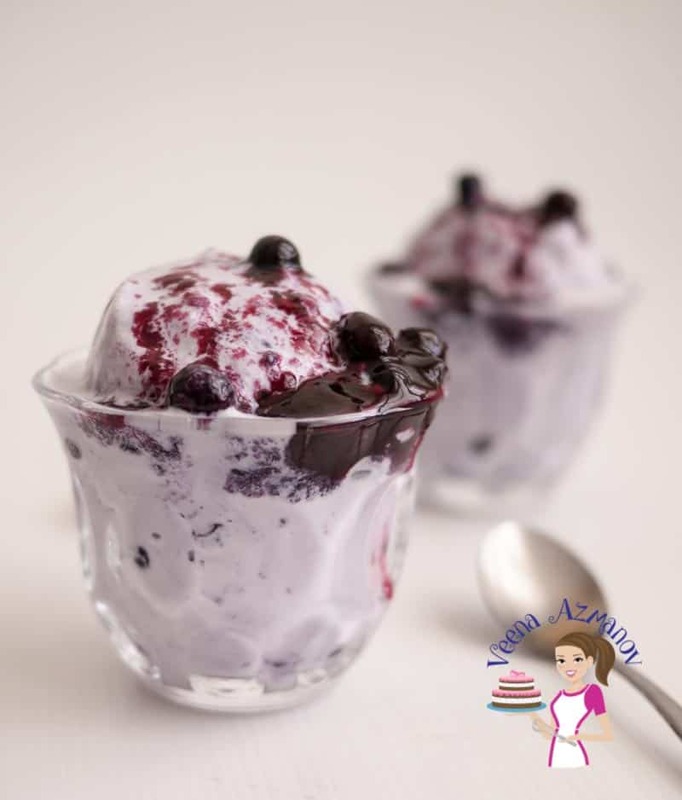 No-churn ice creams have become the recent trend and it’s not because the ice cream makers are expensive, well they are not cheap either but they are a lot more affordable today than they use to be a couple of years ago. The recent trend to no-churn ice creams, however, is mostly due to convenience and options. Having an Ice cream makers means you need space to save it, then you have to plan ahead of time and make sure you chill the bucket at least 24 hours in advance. Once you churn the ice cream you have to chill it again. So by the time you actually eat the ice cream its’ like two days have gone by. My husband had been promising me an ice cream maker for ages. Honestly, we kept buying everything else except the ice cream maker. When I’d ask him he’d say – what’s wrong with the ice cream we eat? 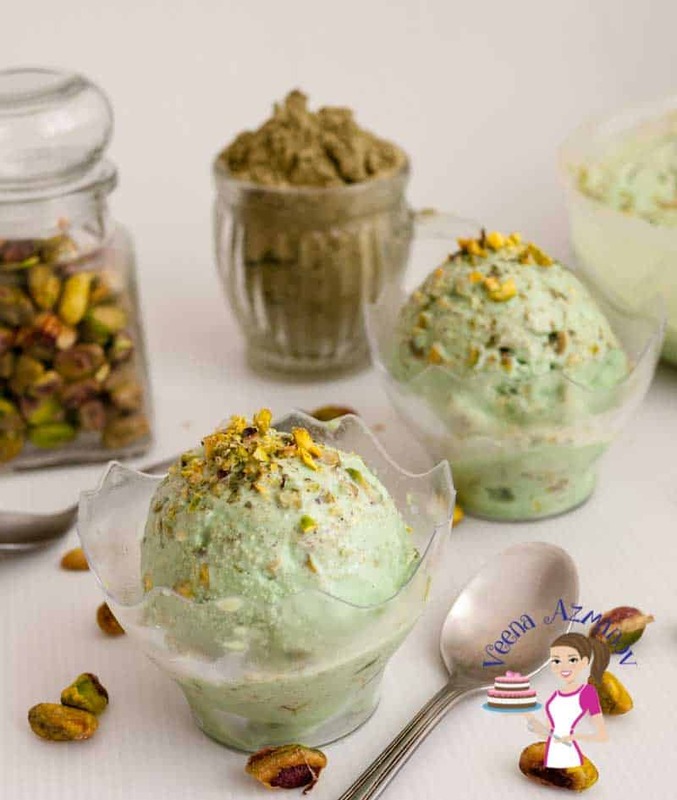 You make it perfect without an ice cream maker! Finally, I gave up! Three years ago, he finally decided he wanted to let me buy an ice cream maker but guess what? Suddenly, I chose not to. Well, I’m so used to making my no-churn ice creams that I don’t really miss it anymore. Truth be told, most people are surprised my ice creams aren’t made in an ice cream maker. They are so creamy and melt instantly. I think I started making homemade ice more regularly a couple of years ago when an article on the local news came that a brand of ice we ate regularly had veg shortening in there to make it creamy. The idea of feeding my kids whipped vegetable shortening by the spoon kinda put me off completely. I decided I wanted to be in control of what my kids ate not some crap hidden behind the fine print on the labels. So since then, 90% of the ice cream the kids eat are usually homemade. We do some reputed brand that we know for sure is good and have genuine ice cream. So the next time you buy ice cream at the supermarket? Take a moment to read that label and see what is in there. Whip the cream with the vanilla until soft peaks. Fold in the condensed milk and mashed or pureed fruit. Pour into a container (see tips). Freeze for at least four hours or overnight. What’s the secret to making creamy, melt-in-your-mouth ice creams? Well, those of you (me) standing on the weighing scale aren’t going to like this. The truth is the higher the fat content in the recipe the creamier the ice cream will become. It’s the fat in the cream and eggs etc that gets whipped up resulting in a smooth creamy melt in the mouth experience. If you notice most of my ice cream recipes on this blog are made with Classic French Vanilla Pastry cream. I grew up with that being the bases for a good ice cream. Back in those days making ice cream with condensed milk wasn’t so popular. It had to be the rice creamy French pastry cream that had half milk and half cream, egg yolks, sugar and then you added more cream to whip it up into a smooth velvet like texture. I still use vanilla pastry cream as a base for most of my ice cream. In fact, often I will switch the classic French vanilla pastry cream to my eggless vanilla pastry cream so that I can reduce the fat content by almost half. Of course, when I can’t afford a good ice cream it’s sorbets and popsicles which the kids enjoy very much too. There is always a way around it. To me, it all depends on how much fat you consider acceptable to your diet. 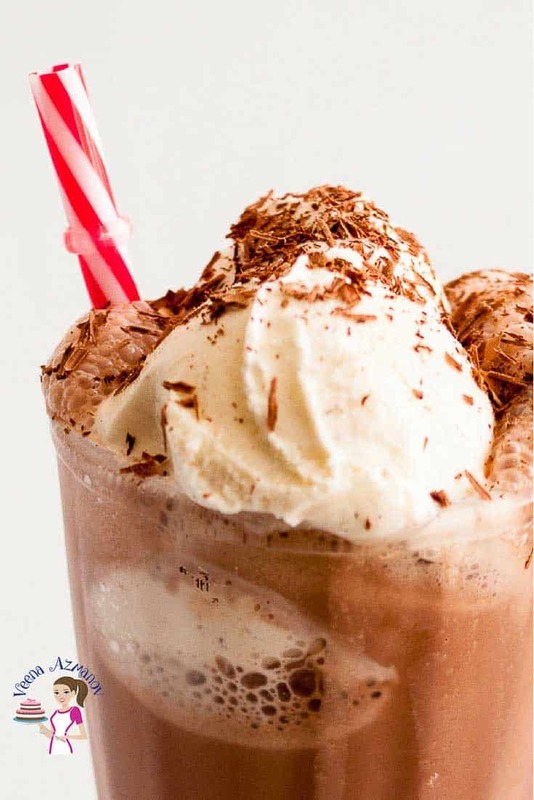 Whip the cream separately, then fold the rest of the mixture into the whipped cream. This makes the end result more soft and creamy in texture. The container you use to store your ice cream – Use thick Tupperware. The thicker the rubber the less icy the ice cream. Another great thing to use is ice cream storage tubs. When you buy store-bought ice cream it comes in these ice cream paper tubs. Those are also good. They do keep the ice cream less icy. So next time you finish a store-bought ice cream wash the container and save it to store homemade ice cream. Wrap it again -Wrap the ice cream container in plastic wrap. A ziplock bag works best for this. Just place the ice cream container in a ziplock bag before you place it in the fridge. This will reduce ice crystals on top of the ice cream. Do not use glass containers, glass causes excessive ice crystals. Metal loaf pans wrapped in foil make a great no-churn ice cream container. Great but not necessary – if you use less fat the possibility of ice crystals forming can be high. A great way to reduce that is to just stir the ice cream once or twice in between. Full fat / low-fat – it’s all good – enjoy it! One of my pet peeves with the girls when we eat out is they order a low-fat ice cream because it’s low fat! Then they complain it’s not creamy but icy. Here’s my take on it. If you freeze liquid it will be icy, if you freeze fat it will be creamy. Which is better? depends on what you want? Right? There is nothing wrong with ice! We all love ice. So why not enjoy a nice bowl of icy cold dessert. It’s tasty just not loaded with creamy fat. To me, if you going to complain then you might as well order a proper ice cream and enjoy it. If you want to eat low-fat then learn to enjoy the natural elements of low fat. 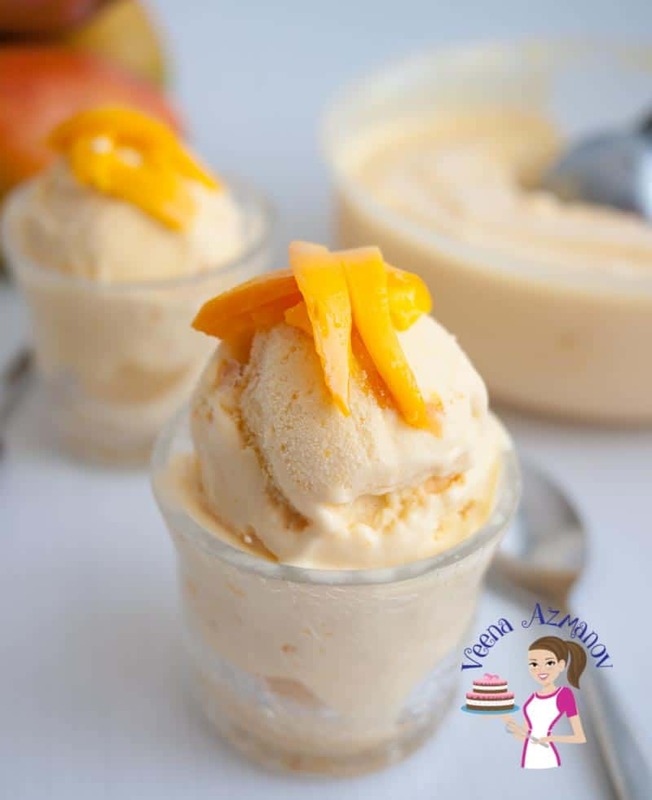 Enjoy that icy cold fruit ice cream that’s not creamy but still the best-frozen dessert you can get. In the process of complaining over what it should be, we fail to enjoy what it is. Right? So, next time you order a dessert? Think? Are you going to really enjoy it? Or feel sorry for yourself for it? It’s all up to you. I love the different varieties you presented for no-churn ice cream. 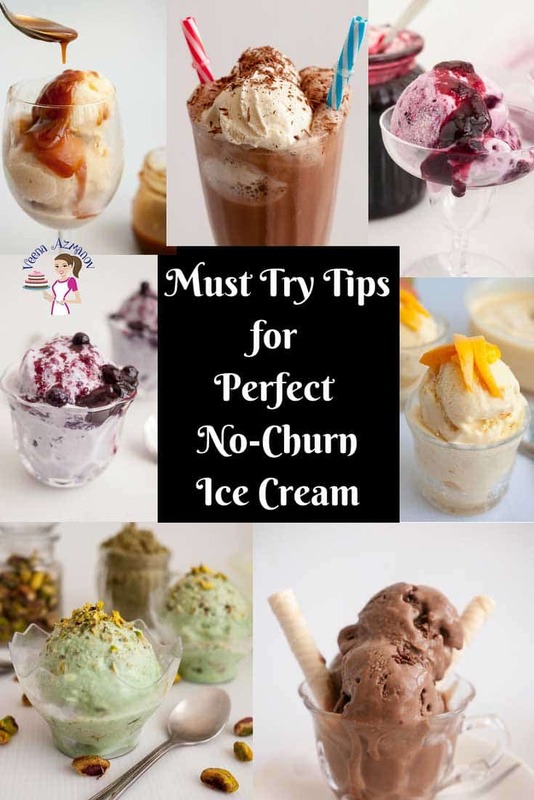 No churn ice cream is such an easy summer recipe! These tips are very helpful Veena. I always make low-fat no churn ice creams for my family. Who needs store-bought stuff when it’s super easy to make ice cream at home, right?! I absolutely love all your flavor suggestions. Everything looks so good. Absolutely, Natalie. Who needs the store bought when this is so easy. Ice cream is definitely one of my all-time favorite desserts all year round. Loving this whole post about how to make no-churn ice cream. You’ve made it look so easy. What could be better??! Thank you Michele. Glad you like my post and found it useful. Thanks for these tips – I’m going to save them for a day when I’m ill-prepared to use my ice cream maker bowl! Love homemade Ice Cream! and this new trend for no burn ice cream sounds so good! 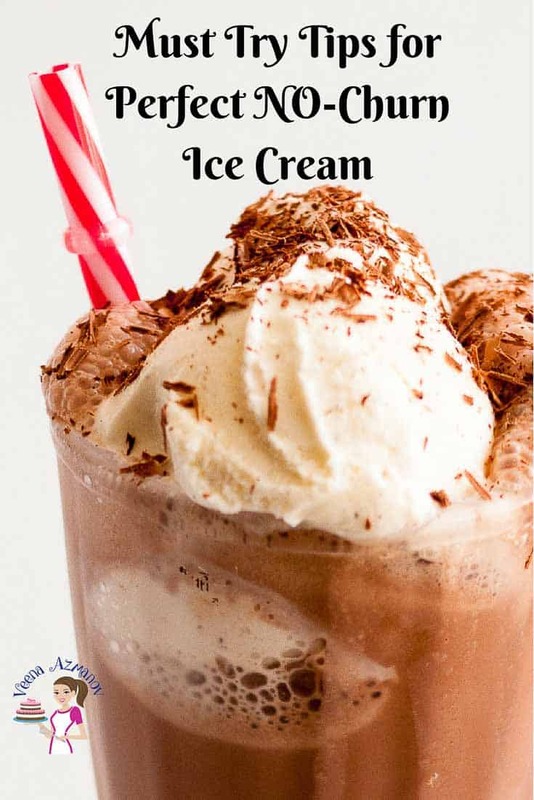 Quick and easy to make and I am sure it taste as good as the regular ice cream! 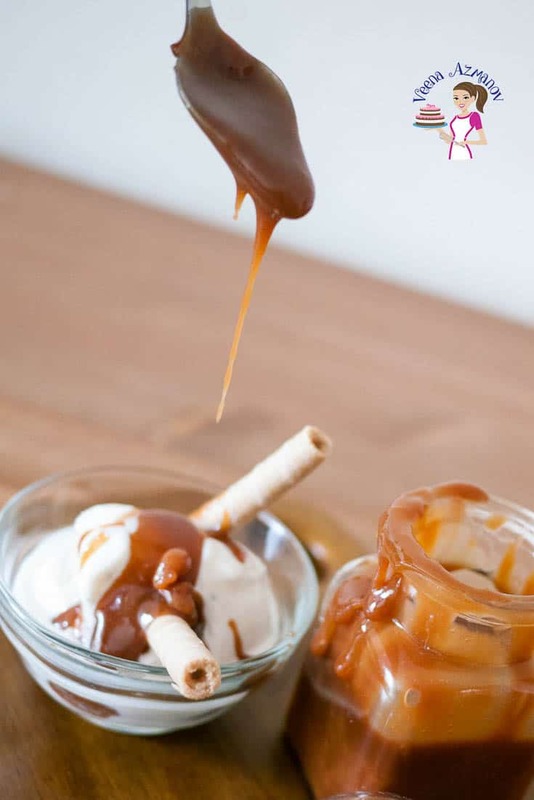 Absolutely Veronika – love no-churn – so simple and so easy. Homemade ice cream is so good! These are great tips on how to make the best recipes and skip the store bought. Thank you, Sharon. Glad you find my tips useful. I’ve made no-churn ice cream before, and it was good, but not knock-your-socks-off good. I think whipping the cream first, like you suggested, might be the key! Thanks Abby. Yes, whipping the cream will do the trick. 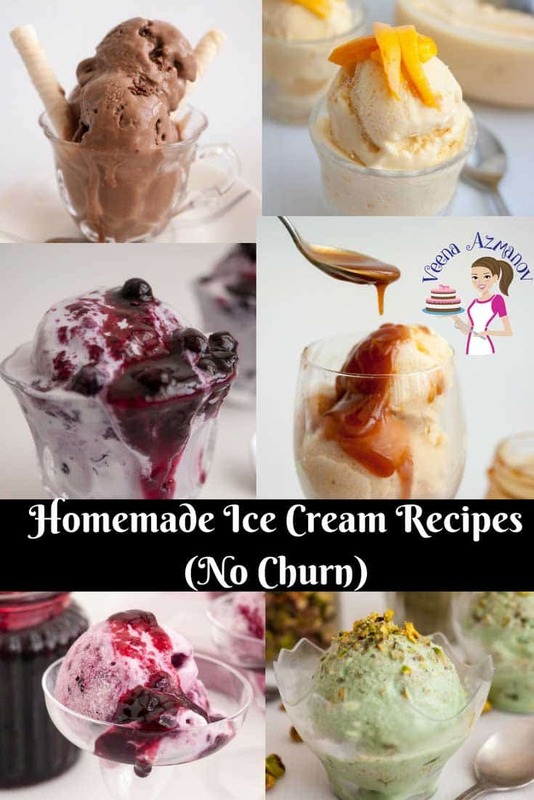 You must try it. .
I’ve made no churn homemade ice cream before and it’s so much easier than I ever thought it would be. Now dont get me wrong…my dad had a homemade ice cream maker growing up and he made homemade ice cream all the time…but no churn ice cream is more like store bought ice cream from a consistency and taste standpoint. Love your recipe! I know what you mean – now I prefer no-churn rather than going thru all the drama of freezing the box and stuff. Love the tip about the container! It does make a difference! Thanks for all the tips, and thank you for reminding us not to complain if it’s not what we expected, but enjoy 🙂 . All your ice creams look fantastic! I love that your posts are always so informative! Your family must love you with all your delicious looking cakes and treats. This recipe will definitely come in handy this summer. I have an ice cream maker but it’s a bit of a pain to use so I make no churn when I make it. I love your fruit sauces too. Once we get some fresh berries this summer I’m going to try them. Thank you, Denise. Happy to hear you find my post useful. I love fruit sauces very much – so much you can do with these. No churn ice cream is pretty much a revelation isn’t it? 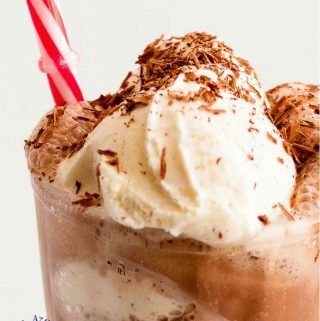 The first time I tried it, even though I had an ice cream maker, I was blown away. Love all of your different flavors with just one standard recipe! Absolutely!! 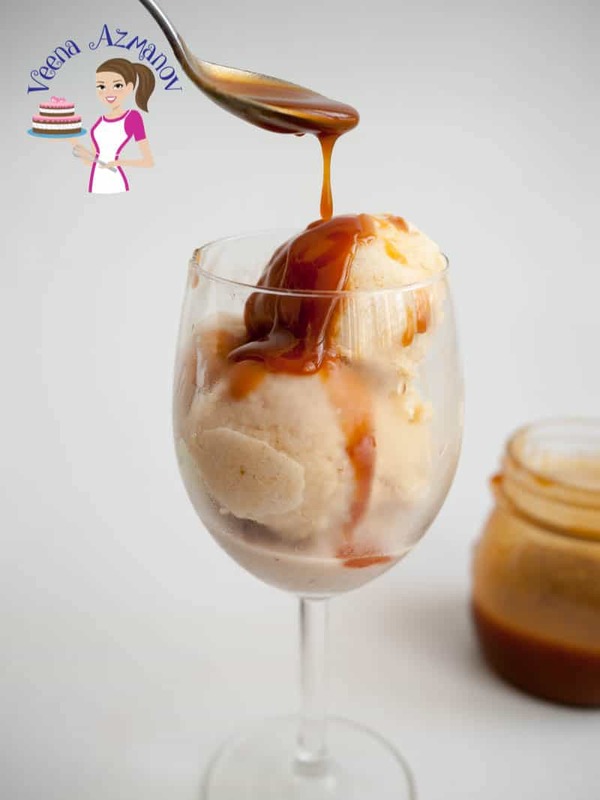 I think it’s such a simple and easy way to make ice cream at home. I totally agree that the container can make all the difference in the end product of the ice cream. If you use a glass container or something that isn’t insulated enough, it makes too many ice crystals. Great tips! wow, you really make it look so easy. I don't believe that you don't like to paint. This looks like an artist job. I too envy such work and may be with you encouragment I will try.